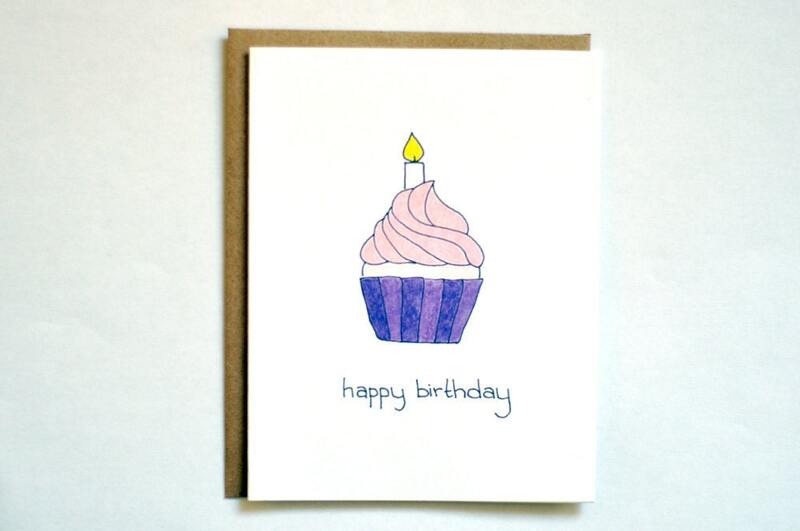 This week my Etsy shop turned six months old! Can you believe it?? Even in the short amount of time it has been open, I have done over 240 sales and I have learned quite a lot about the intricacies of handmade selling. In honor of this momentous six month anniversary, I've decided to put together a post of what I've learned in case there are some folks out there who are thinking of taking that leap and opening their own small business. So I did an excessive amount of research about selling on Etsy before I actually opened my shop (I read almost every article Etsy has ever published... literally. This tome of info is particularly helpful) nothing quite prepared me for actually owning a shop. Though I'm going to give you some more specific tips below, the first and most important tip I can share is to do your research. Read the articles, browse the blog posts, read tips on the forums. Basically, make Etsy your home base and start from square one: learn how to build a banner for your page all the way up to how to sell wholesale orders to retailers. All of it will be useful at some point in your journey, and you can never be prepared enough. I was thinking about opening a shop about a year before I did, and I'm glad for the time I had to get my stuff together. I had my banner prepped, my policies written, my shipping costs figured out, my supply orders calculated, my product descriptions written, my photos taken, and a good amount of product ready to show in my shop. I even sent out some "test orders" to my family members with questionnaires attached, such as: how long did this take to get to you? Does the product live up to your expectations? Did it arrive in good shape? Are you happy with the packaging? What additional feature of this order would you like to add, if you could? Their feedback helped me change the way I packaged my orders as well as gave me an idea of how much shipping cost/times varied by order size. 2. Make friends with your neighborhood postman. Chances are, you'll be going to the post office a lot (or that's the hope!). It's always a good idea to make friends with the postmen (and women) there, since you'll be interacting with them pretty frequently. Help those postal folks out and do your research in advance: know how much postage will be, know what your customer's timeline expectations are, and set your standards up in your shop profile. Unless you want to be going to the post office daily, I suggest you list when your shipping days are. Do you ship one day after the order? Do you go to the post office Mondays, Wednesdays, and Fridays? What about weekends? What about holidays? What if an order comes in on Friday afternoon? Speaking of shipping... don't be afraid of sending things international! I didn't do international shipping the first month I was open, mainly because I was afraid of the customs papers. It's not that bad... seriously. If I can do it, you can do it. But make sure you follow correct procedures -- you don't want customers to get their orders held up in customs because you filled out the paperwork incorrectly. I reference this handy guide for my customs questions. 4. Be prepared for custom orders. Wow, this is one I never expected. I heard about custom orders, but I thought this was for shops that specifically advertised doing them. I had no intention of making a custom listing for my shop initially. I just thought I would make some cards, make a couple sales, run to the post office now and again, and be done with it, easy as pie. No one told me that when customers love your product, they love every iteration of your product. They'll want it bigger, smaller, in different colors, in different amounts, with personalized detailing, with a monkey, with different fonts, different textures, different orientation. They'll want to change your product in subtle and in big ways. My advice to you is: know your limits. Chances are, you're a one-person show trying to hold down a small business all on your own. Custom orders can be a lot of fun, but don't be afraid to say no if you can't fulfill a request in a timely fashion, to your high standards, or if you feel a request compromises your artistic vision. It's your art, and while it's nice to be admired for it, don't lose track of where you want to go. I once had a customer ask to buy my artwork on a mug. While I thanked him for the clever idea, I also gently told him that (for the time being, at least) I enjoy making and selling cards, and I didn't want to stray too far from that vision. Personally, I love doing custom orders, but I discovered they took up a lot of my free time. When more orders started coming in -- particularly custom ones -- I got quickly swamped and stressed by them. Set up fair perimeters for you and your customers: I made a cache of the most popular custom edits to my cards and set up a new custom listing that cost a little more. This enabled me to earn a little more for the extra time I was putting in to do custom orders. Don't short yourself. Customers will be willing to pay a little more if they're getting something special in return. 5. Keep track of your expenses. I'll be honest. Taxes were one of the huge reasons I almost didn't open an Etsy shop. Every single article I read about self-employed taxes said something a little different, and the information overload was making my head spin. In every state the rules are a little different, and nowhere is the process simple. The only clear-cut rule I could sort out of the chaos was this: keep track of your expenses. Everything will be a little easier come tax-time if you have your paperwork in order. I'll give you a little tip I learned two months in: use Outright. It's a life saver, no joke. When I first started selling, I had this amazing Excel spread sheet that I made from scratch, totaling everything from Paypal fees, to mileage driven to the supply store, to cost of postage stamps. I mean, it was a work of art, people. The equations I got that thing to run would make a statistician weep. But I quickly discovered that there was a big difference between keeping up with two sales a day, and twenty-two sales in a day. It became too much: I just couldn't keep up with every single Etsy listing fee, sold fee, auto-re-listing fee, Paypal fee, shipping fee, postage fee, etc etc etc. That's when I got Outright. It connects to your Etsy and your Paypal accounts and it logs every single transaction for you. All you have to do is enter your extra expenses. It makes beautiful graphs, shows you your net gain/loss and even helps you calculate your quarterly taxes! It's amazing, and best of all, it's free. It makes your life way less stressful, trust me. And, speaking of logging your expenses: make sure you keep track of everything, including receipts. And I'm talking everything. Mileage, gasoline, pens you bought, food you ate, website fees, even the cost of the electricity you used while crafting. All of that will help your taxes stay in check and let the IRS know that you are putting a lot of money out there in order to get some in return. It may sound cliche, but when you're in the business of self-employment, you are a one-man-band. You're the crafter, the accountant, the shipper, the receptionist, and the publicist. It's up to you to toot your own horn. Make a Facebook page. Join Twitter. Get an Instagram account. Pin a bunch of stuff to your Pinterest boards. Write a blog. Get a business email address. (Do you know mine? It's brittany@darkroomanddearly.com) Make yourself business cards. Put all that information on the back. Hand them out to strangers. Go to craft fairs. Advertise on other blogs. The more people can recognize and associate with you, the more likely they are to visit your shop. Make the experience personal. 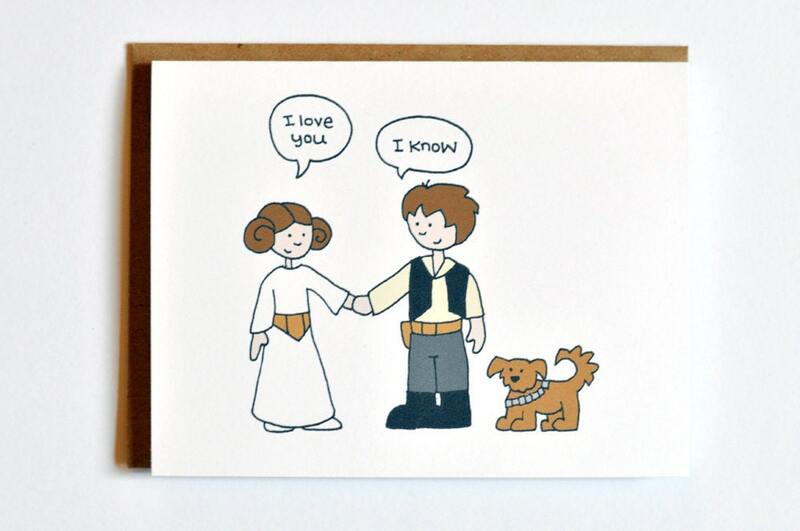 Etsy is a great place to find real people making real things, but it's also very easy to get lost in the mix. Make yourself stand out. Speaking of making yourself stand out, make sure the products you're selling are fresh, clever, and unique. No one likes a copycat, and there's nothing worse than working really hard on a new product, delight in gaining some popularity with it, and then see 10 more sellers pop up with items just like it. I've been lucky enough not to have this problem, but I know this is an ongoing issue for Etsy sellers. It can be really disheartening to see your own work duplicated in other shops, so stick to original ideas. Not only will it be more ethical, but it's amazing how much better unique items sell! If you can think of a great concept that no one else has thought of yet, you'll not only have the edge on the market, but you have a better chance of catching the attention of buyers. I speak from experience when I say that the more clever and original cards in my shop sell much more quickly than some of the more generic ones I throw together. Be inventive! This is your time to shine! 8. Make yourself a brand! When I first starting selling, my shop was a real mish-mash of colors and style. Granted, it's still coming along, and it has a ways to go before it's completely uniform, but it's important to "brand" yourself for your customers. If you have a bright blue Etsy banner and bright orange backgrounds to all your pictures and everything is taken at different angles and nothing is cohesive, it's going to be very hard for customers to recognize your "style." Pick a theme, a pattern, or a color scheme and stick with it. Logos can be a great part of branding, too, especially if you have a bunch of social media sites. Make sure customers can recognize your logos and banners and color schemes from one site to the next. I went through several iterations of Etsy banners before I settled on one, and several different backgrounds for my photos before landing on a neutral white. Keep in mind that Treasuries are a big part of Etsy, and a lot of times what determines if you get selected for a Treasury is if your colors and style match the chosen "theme." Neutral backgrounds with brightly colored product really pop on the screen. Take great photographs and make it interesting. I know I'm more likely to click on products that look beautiful on the screen, and much more likely to purchase them. You worked hard on your stuff, so show it off! 9. And finally, Make life easy on yourself. Plan your shop like you're going to make 1,000 sales your first year. Have adequate supplies on hand and a fool-proof process for getting things done in a hurry. I learned this the hard way. When I started selling, I was only doing a couple sales every few weeks, so it was a very easy process for me. I drew all my cards out by hand, hand wrote all the envelopes and thank you notes and drove to the post office every single time I got an order. 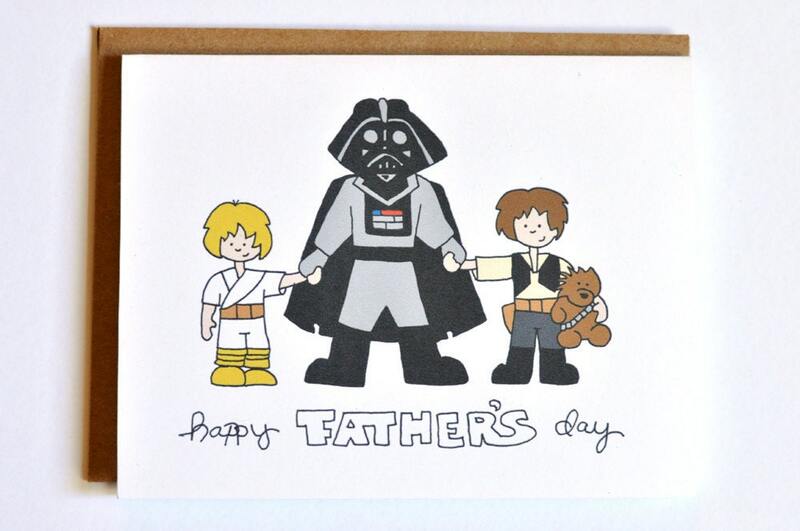 Then, suddenly Father's Day started approaching and my Darth Vader card went Etsy-viral. All of a sudden I was having to hand draw 5-10 orders a day on top of all the custom versions that buyers requested. I was spending every waking moment drawing, packaging, and driving to the post office. I even had to call Tanner a few times from work to have him package up some orders for me to get them out in time. It was a very hectic month, and I barely made it through with any sleep or hair left on my head (not to mention running all my colored pencils down to nubs). I learned a valuable lesson, though: I needed to make my shop easier to mass produce. There was no possible way I would be able to hand draw all my cards through another crazy holiday season. So, I taught myself how to make cards on Photoshop. I created my own templates, my own brand logo, and scanned in all my drawings to digitally color them. I learned the exact postage of each of my order sizes and bought stamps to match so that I could mail them from home. I pre-packaged a lot of my best sellers before the orders came in so I could simply pop them in the mailbox on my way to work. Suddenly, my shop was so much easier to take care of. Custom orders involved cutting and pasting digitally rather than re-drawing the entire card. I was only visiting the post office for international orders. It took a lot of trial and error to get the process right, but it was a great change to make. The moral of this story is, make life easier on yourself. Happy birthday, Darkroom and Dearly shop! I look forward to another exciting six months! What tips have I forgotten? Do you have any other words of wisdom for beginning Etsy sellers out there?